A few weeks ago, we discussed how tenting a corporate event can provide companies a wide variety of options as they plan their next major industry event. 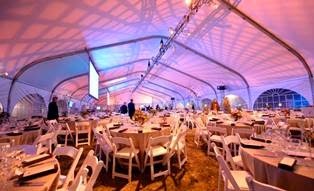 This month, we are focusing on how tenting your next gala or non-profit event can help create a memorable experience that will impress all attendees. During the planning process, we work with our clients to ensure that every decision best compliments their location and highlights their theme. For example, one of our clients wanted to create a “New York City” experience for its annual gala. With the help of red carpet, a black and white dance floor, and ambient lighting, the open grassy property turned into Times Square within a matter of days. 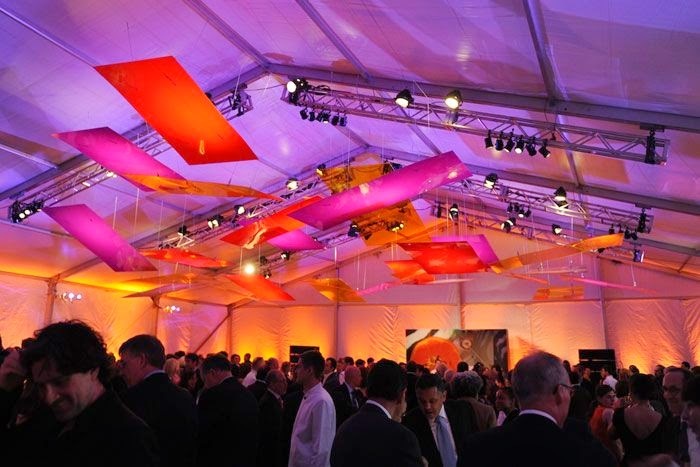 With the flexibility of tenting on your side, you can plan on having your event at a location that has particular relevance or meaning to your organization. For a hospital celebrating the ground breaking of its state of the art facility, guests can dine on the exact location of the future building. For a parks department heralding the good work of its donors and volunteers, people can wonder through the greenery and dance under the stars, appreciating the beautiful surroundings throughout. We have been honored and privileged to work with countless organizations and non-profits over the years. Each time we are amazed with the events they produce and are happy to share in their success and good works. We look forward to them each year and hope to be a part of many more in the future. 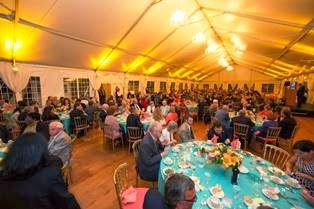 As you start thinking about your next event, be sure to visit our website at www.stamfordtent.com or e-mail us at sales@stamfordtent.com. Given the prevalence Wi-Fi, hotspots, and mobile technology, more and more events are freeing themselves from traditional brick-and-mortar locations and venturing elsewhere. This flexibility is offering corporations and businesses the ability to look beyond conference centers and hotel ballrooms when planning a corporate function or an industry convention. Think about it – if someone wanted to set up a remote office on a beach, given the right tools, he absolutely could! Certain types of company events already fit into the “outdoor” category – summer picnics, family outings, golf tournaments. 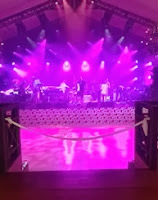 However, companies typically retreat inside when preparing larger scale or more formal events. As we are becoming a cable-free culture, the outdoor/indoor barrier is beginning to erode away. Now instead of worrying if your facility is too small to hold all your employees in one room, a tent can be erected on the property and everyone can assemble there. By putting up partitions or dividers, planners and organizers can easily create different stations or break-out areas depending on the event’s purpose. If an item is forgotten or a piece of equipment suddenly breaks, having a tent near the main office can save time and stress! 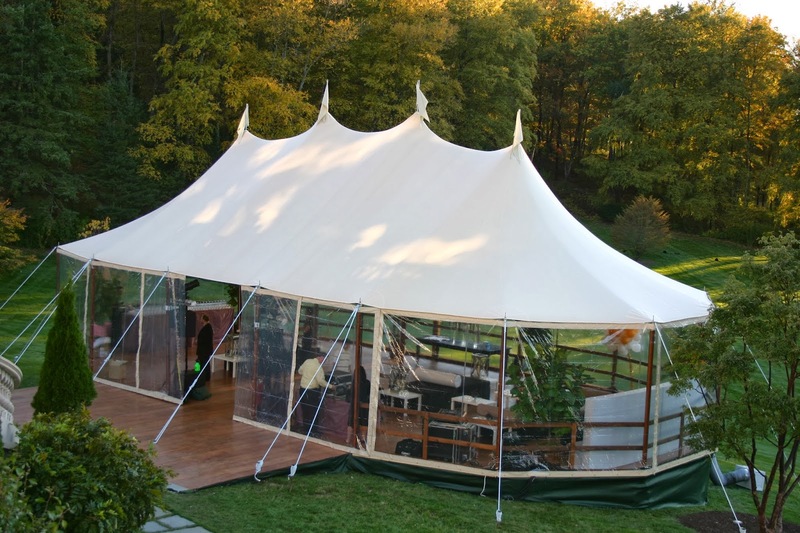 For more elaborate functions, renting a tent can allow companies to consider numerous locations. Interested in having a step and repeat on 42nd Street? No problem! 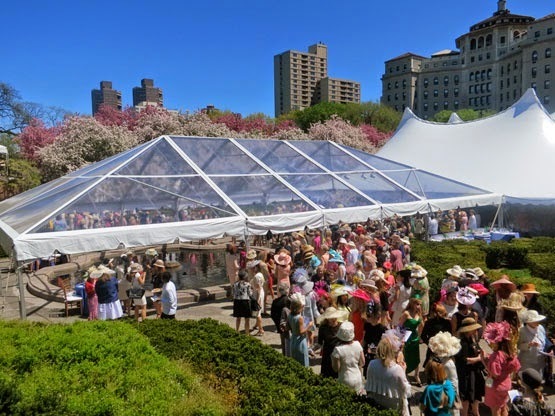 At Stamford Tent, we have helped clients with product launches and industry parties on piers along the Hudson River, New York City rooftops, busy city streets, and countless other places. 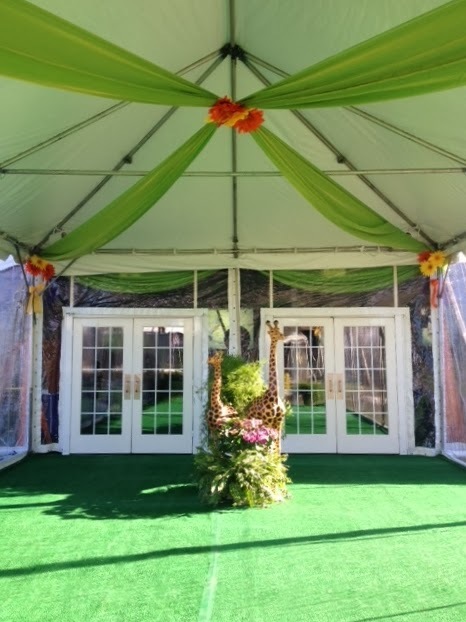 Given your event’s theme, a clear top tent can offer guests a different experience than inside a crowded, dark indoor space. As a company, you will definitely impress attendees when they are able to overlook Manhattan’s skyline at sunset. If you are a profession corporate planner or someone tasked to oversee the company’s upcoming global meeting, consider all the options available and select one that matches your needs and requirements. And don’t be afraid to venture outside! 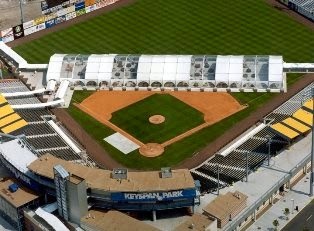 For more information about Stamford Tent & Event Services wide selection of tents and accessories, visit our website at www.stamfordtent.com or contact us at sales@stamfordtent.com. With only a few days left in this abbreviated month, March will be here before we know it. It is a month full of calendar highlights – the beginning of daylight saving time, the first day of spring, and of course, St. Patrick’s Day. Though this holiday is strongly associated with the Irish culture, cities and countries around the world partake in jovial celebrations and share in the cheerful spirit of the day. The parades in Dublin and New York are two of the most famous, and draw thousands of spectators decked out in knit sweaters, tartan hats, and a few “Kiss Me I’m Irish” pins. However, each celebrating city puts a spin on the festivities to make it unique and its own. 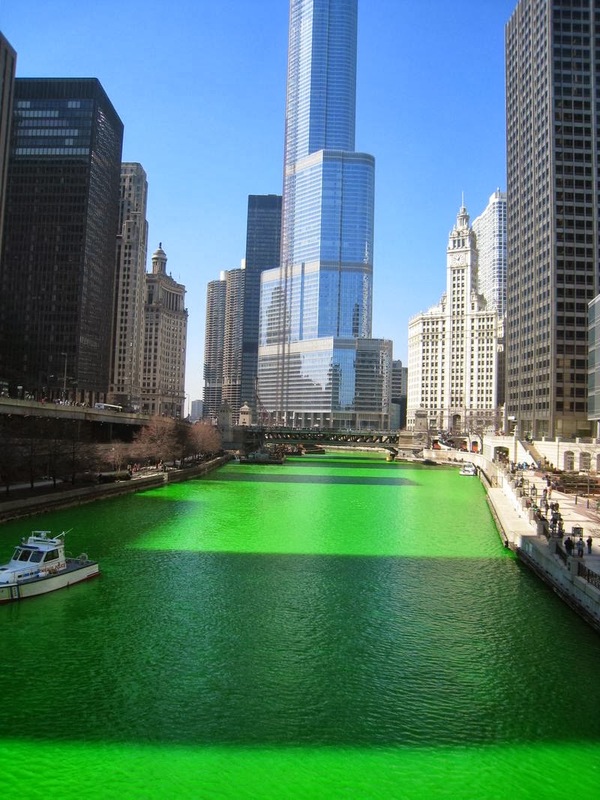 In Chicago, its namesake river is turned green using vegetable dyes. Hope that visitors and tourists don’t think the river is always that color! Not too far from Dublin, Copenhagen’s celebration has a more athletic tone to it. Hundreds of participants engage in what can only be described as a three-legged pub crawl. Along the route, tethered competitors stop at local Irish pubs, drink at least a half a pint of beer, and continue on their trek. Proceeds of the event are split among three charities – one Danish, one Irish, and one international. Halfway around the world in Tokyo, Japan, marchers parade down one of its most fashionable avenues that has been flanked on either side for the occasion with Irish and Japanese flags. The Irish Ambassador to Japan leads the kilt-wearing, bag-pipe playing participants, who splurge on $7 pints of Guinness! For this upcoming St. Patrick’s Day, iconic landmarks around the world are going to “go green”. India's Taj Mahal, Disneyland Paris, the London Eye, the welcome sign in Las Vegas, the Leaning Tower of Pisa, and the Empire State Building will all be aglow in emerald green to mark the holiday. Though you may have to wait until next year for Dublin, see if your local town or city is planning any activities or events. And who says you can’t bring a piece of the Emerald Isle to your backyard and celebrate with friend and neighbors. La Fhéile Pádraig Sona Daoibh! For more information about Stamford Tent & Event Services and our St. Patrick Day “Irish mist rain plans”, visit our website at www.stamfordtent.com or e-mail us at sales@stamfordtent.com. The weeks between Thanksgiving and Valentine’s Day has been deemed the peak of engagement season. The wedding planning website, The Knot, claims that almost 40% of engagements occur during this time. With Christmas, New Year’s, and Valentine’s Day, love and the promise of “happily ever after” is in the air. As a result, the season of engagement parties will shortly begin. While this event is not a “must” on the wedding timetable, it is a fun way to kickoff the festivities and celebrate with close friends and family. There are countless possibilities when planning an engagement party. My favorite idea is to schedule a low-key affair and invite guests to either the couples’ home or (traditionally) the parents’ home. Hosting an intimate, relaxing gathering is a perfect way to begin what can potentially be a stressful process. Especially for guests who are meeting for this first time, it can be easier to meet in this type of informal setting. As more and more people scatter around the county (and the world! ), the couple's closest friends are not always just a car ride away. For those individuals in the bridal party, an engagement party is a wonderful opportunity to meet everyone face-to-face. Since e-mails and text messages will most likely be the dominate forms of communication during planning, having that initial, personal interaction can help everyone start on the same page. We wanted to extend our congratulations to all the newly engaged couples. As you begin organizing and planning your wedding, be sure to solicit advice, plan thoughtfully, and decide what elements are most important to you and your future spouse. Good luck! 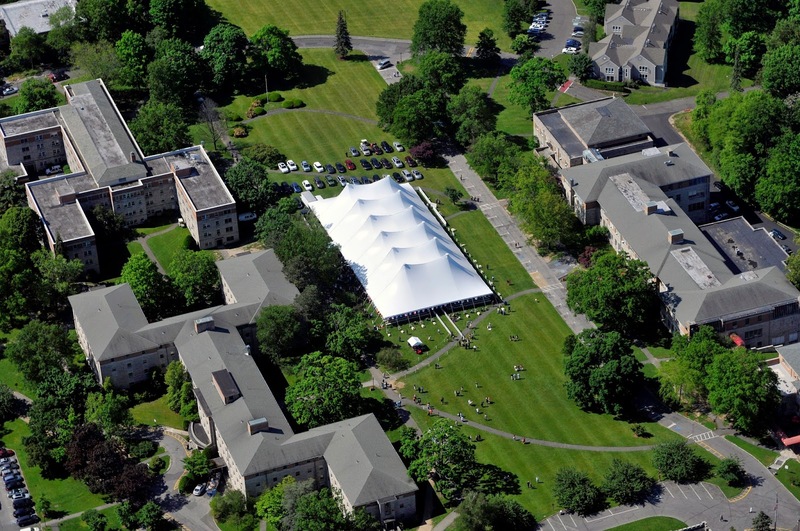 For more information about Stamford Tent & Event Services, visit our website at www.stamfordtent.com or e-mail us at sales@stamfordtent.com. While reflecting on the past year, we are amazed at how quickly it flew by! It only feels like yesterday that we were getting ready for 2013. Our staff wanted to share some of their favorite moments and their goals and wishes for 2014. As the season of cocktail parties, intimate get-togethers, and quick drinks with friends kicks into high gear, have your toasts ready as you prepare for the upcoming holiday season. While champagne and sparkling punches are go-to favorites, here are some cocktail suggestions that play on the season and will impress your guests. During this time of year, certain aromas immediately stir a memory or bring you back to a certain moment in time. Chestnuts roasting on a street corner instantly brings me to chilling winter evenings, willing myself to stay warm. As you plan your party, seek inspiration from these scents and flavors. Offer guests a Gingerbread Martini that will be a treat to their taste buds. Instead of the traditional salt around the rim, dip the glass in crush gingersnaps for both a textural kick and a whimsical element. For the peppermint lovers, have them indulge in a Peppermint Frost. 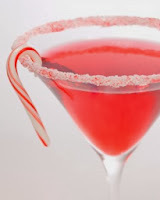 This grown up version of a candy cane will take the chill off your guests as they settle in for an evening of celebrating. If you want more playful compliments, consider serving a Mistletoe Martini, which blends together chilled cranberry tea, orange and lemon juices, and vodka. Or make sure that you only have one Grinch at the party when you serve this Midori based cocktail. Your guests’ hearts will grow in size once you add a maraschino cherry garnish. Make sure to have at least one refreshing, non-alcoholic drink available on hand for guests. Martha Stewart recommends “Cherry Bombs”. This combination of grenadine, seltzer, and maraschino cherries captures the bright and vibrant colors of the holidays while providing a sweet note to your festivities. Though the next few weeks can be hectic and busy, we hope that you are able to savor time spent with friends and family. Best of luck with your social calendar and cheers! For one week each September, the eyes of the fashion world are fixed on New York City as designers reveal their collections during Mercedes-Benz Fashion Week. Though many in attendance are there to analyze the clothing, the looks shown will permeate countless industries during the upcoming season, and play a role in how planners and clients design their events and special occasions. Color. Color. Color! Each year, spring signals rejuvenation and vibrancy, and this was abundantly on display during Fashion Week. Ranging from light touches to extremely bright ensembles, orange was definitely a hot choice. This eye-catching color can add a bit of excitement to the atmosphere of any event, especially against the other main color from Fashion Week – white. From linen choice to flower selection, orange adds a fun element to any décor, and the fashion industry is betting that it will be the color for spring. Over the past few years, the old belief of the "white wedding dress" has been put to the test. 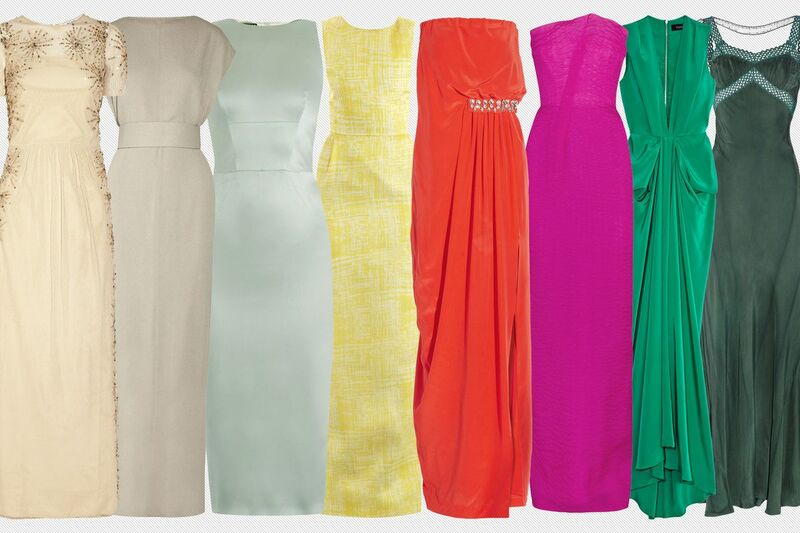 Brides-to-be can now choose from a wide range of colors and shades that suit their desired look and express their personality. Drawing on different cultures and traditions, future brides can select everything from a pale blush to a show-stopping red. People are even wearing black wedding dresses! Designers are listening to their customers and have responded in full force. During Vera Wang’s recent runway show, dramatic pink dresses brightened up the runway. We suspect that this trend will be seen in all aspects of wedding planning as brides balance their playful side with tradition. As we settle into the fall and winter, we hope that these trends and inspirations will keep you warm as you dream up your next memorable event. Enjoy and we at Stamford Tent look forward to helping you create it.